Here is the good news…children with autism can be toilet trained through the exact same methods that are used with typically-developing children. And what are these methods? Applied behavior analysis! If you have ever toilet trained a typically-developing child, you probably used a combination of praise and rewards for going on the toilet, explaining your expectations, removing the child‘s diaper, prompting to the toilet on some type of schedule, rushing him or her to the toilet when they seemed like they needed to go, and teaching how to notify you that he or she needs to use the bathroom. You might or might not have added in some form of punishment or verbal reprimand for accidents. Well…here is my advice for toilet training a child on the spectrum…use exactly the strategies that I just described. So then, why does it seem so much more difficult? One of the biggest obstacles is simply getting started. Because parents think that toilet training will be very difficult, and something so different than anything else they have taught their child in the past, they delay training. Toilet training for a girl typically is recommended to begin at around two years of age. For a boy it is a little later (about two and a half). When it comes to a child with a developmental disability it is difficult to use these age guidelines. 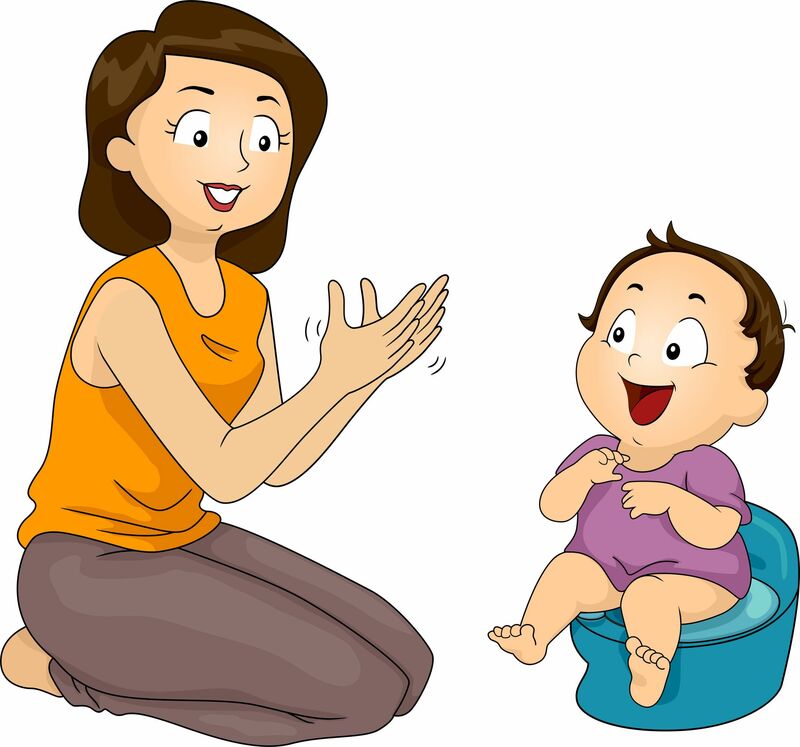 Instead, a child is ready to begin training when they can hold urine in the bladder for at least 1 hour, can remain seated on a toilet for at least three minutes, have an awareness of the relationship between following instructions and getting rewarded, and do not have significantly interfering problem behavior. Another challenge with toilet training a child on the spectrum is the absolute need for consistency and intensity of training once you begin. The more intense you implement a plan, the quicker you will see results. For the most intense procedure, I recommended toilet training for at least 6-8 hours per day. I also usually implement the training directly in a bathroom with the child wearing the least amount of clothing possible (usually underwear, shirt and socks). In this way, he or she can easily get to the toilet when needed and also you, as the trainer, can easily and quickly see when they are beginning to have an accident. Toilet training consists of four main components: prompting to the toilet on a schedule, rewarding success, teaching how to request, and quickly prompting to the toilet at the start of an accident. For the schedule, I usually recommend starting with 30 minutes. The child sits on the toilet and tries to urinate for 1 minute. If the child is successful, immediately provide him/her with a very powerful reward with verbal praise. If the child is not successful, simply prompt him/her to try again in 30 minutes. In order to teach requests, prompt the child to request the bathroom each time you are about to prompt him/her to the toilet. You can use whatever communication system (i.e., verbal speech, picture exchange, signs, etc.) your child is used to and does best with. Now, what to do with the accidents? Accidents in toilet training are a good thing. In fact, without accidents, you will only be reinforcing prompted trips to the toilet, thereby resulting in a child that is schedule trained instead of independent. You have two choices here, prompting/reinforcement or punishment. I usually recommend the first choice, prompting/reinforcement instead of punishment, at least in the beginning of training. Try encouraging a lot of drinking during training hours. Within the first second of the child having an accident, produce a loud verbal startle such as “HURRY, HURRY, HURRY.” This is not a reprimand but should be stated in a very loud, surprising, urgent tone of voice. The idea is to temporarily produce a startle response in the child so that urination is reflexively held for a brief moment. In that moment, you physically prompt the child to the toilet, where you instruct him or her (now in a very calm voice) to continue their urination. If they continue (which is likely), you reward the behavior with a reward and verbal praise. In this way, you turned an accident into a positive teachable moment. Continue with these strategies until the child begins to show fewer accidents, goes more on the schedule and begins to independently request. Throughout training it is very important to collect data on accidents and successes, so that you can make data-based decisions along the way. Fade the intensity of the schedule, fade out of the bathroom and ultimately fade the tangible rewards. With this intensive treatment program, I have seen complete training in as little as 1 week; however do not get discouraged if your child takes longer. What about training for bowel movements? Good news….you often get bowel training along with urination training without doing any additional procedures. Bad news…this is not always the case. When a child is trained for urination, but continues to have bowel accidents, you need to figure out the reason behind the problem before you can treat it. Is it simply a lack of knowledge? An ingrained ritual or routine? Noncompliance? A medical problem such as constipation? The nature of the accidents will guide your treatment. Very briefly, if the problem is a lack of knowledge, a reinforcement / punishment procedure should work. This procedure is similar to the procedure that I described for urination training, except that it is rarely implemented for 6-8 hours per day. Instead, you bowel train only when the child is likely to need to have a bowel movement. If the problem is more consistent with a ritual or noncompliance, you need a traditional behavior plan more than a toilet training intervention. And finally, if the problem is medical in nature, follow the recommendations of a physician or dietician. Dr. Frank Cicero is a New York State Licensed Psychologist, Board Certified Behavior Analyst and New York State Licensed Behavior Analyst. Prior to joining Seton Hall, Dr. Cicero held the position of Director of Psychological Services for the Eden II Programs, an applied behavior analysis special education program serving children and adults with autism spectrum disorder in New York City and Long Island. He also was an adjunct professor of applied behavior analysis for Caldwell University from 2002 through 2016. As part of his work, Dr. Cicero has a private practice specializing in child and adolescent psychology. At the present time, Dr. Cicero is the Board President of the New York State Association for Behavior Analysis, the state chapter of the Association for Behavior Analysis International. Dr. Cicero frequently presents at local and national conferences on his areas of interest which include treatment of severe problem behavior, empirically supported treatments for autism spectrum disorder, sexuality education for individuals with developmental disabilities, toilet training practices, assessment procedures, and teacher/parent training in applied behavior analysis. Dr. Cicero sits on advisory boards, behavior management and human rights committees for several applied behavior analytic agencies and is the author of Toilet Training Success: A Guide for Teaching Individuals with Developmental Disabilities. Cicero, F. (2009). Clinical corner: Toilet training. Science in Autism Treatment, 6(1), 3-4. Kids With Autism Want To Connect. Here’s How Other Kids Can Help.